After a long day at work I relax by partaking in a little gaming, and now that I have an iPad mini, I can literally partake in a ‘little’ gaming. 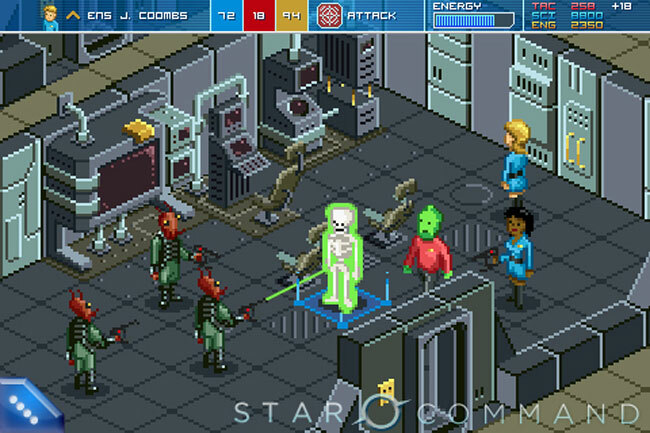 I decided to take the mobile gaming plunge by diving into Star Command. This RPG is relatively new—released the beginning of May 2013 by Kickstarter—and it is pretty fantastic. So far in the game I’m finding the mechanics very enjoyable. 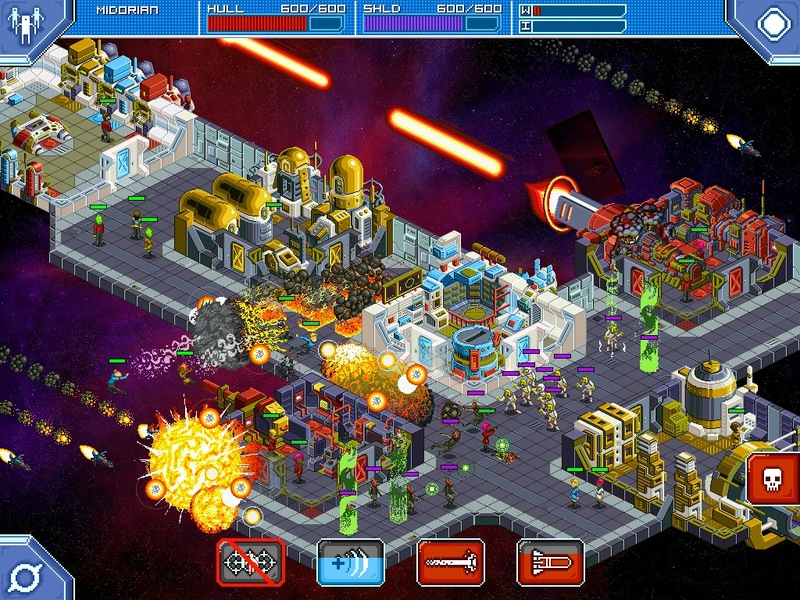 The player controls a ship and its captain, going on Star Trek style missions, fighting aliens and earning tokens that can be used to recruit new crew members and upgrade the ship. There are a lot of great self-aware puns and jokes throughout the game (like expendable security crew members wearing red shirts), but they aren’t so often or ridiculous that the game feels campy. 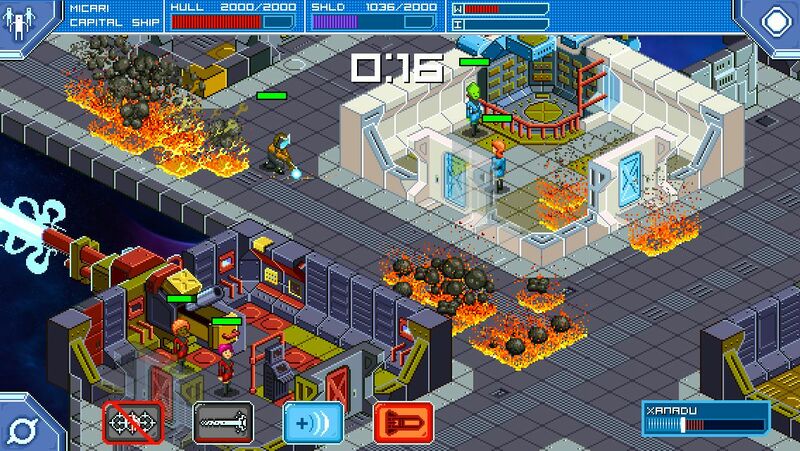 Most of the game uses very simple graphics with big pixels, but the vivid colors make them really enjoyable. The rest of the game has crisp, cartoon-like graphics used in a sparse and tasteful manner. According to recent updates on the Kickstarter page, the game’s producers have been listening to user feedback and have a list of changes they intend to incorporate into the game to fix minor issues. I’m also hoping to see some wonderful new gameplay additions. This is an all-around great game because of its simplicity, aesthetic appeal, and great sense of humor. It also doesn’t hurt that in an era of freemium games, this is a self-contained game with a nice, low sticker price of $2.99.